Whether you use your RV for vacationing or a home office, there’s one thing that rings true: you can’t always rely on free Wi-Fi to stream Netflix, browse Facebook, or even check email. You could take up semi-permanent residence two feet from the door to Starbucks just to get a signal. Or avoid RV parks because of the bad Wi-Fi. But that puts a serious cramp on quenching your wanderlust, both offline and online. Instead, an RV Wi-Fi booster or extender can be your magic wand. Set it up, turn it on, and watch that crappy RV park Wi-Fi go from bad to good. *Prices as of 04/05/2019 and are subject to change. Sure, you’ll pay a little more to get the dual-band option, but if you’re on the road 51 weeks out of the year, that small investment will pay off. 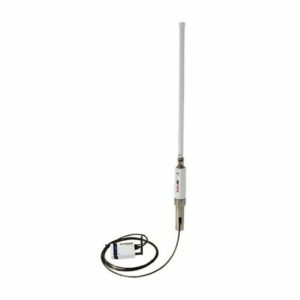 But seriously, you can pop this antenna on the top of your travel trailer and not worry too much about rain, sleet, or snow because it’s water resistant. It’s also dust-resistant, so driving through long stretches of desert in Nevada won’t shake it. Is your campground lacking Wi-Fi? Ouch, we feel your pain. Why not check out the Winegard ConnecT 2.0 or these mobile internet options ? That way you can carry your own internet signal over the rivers and through the woods. With its colorful touchscreen and unique design, the Securifi Almond feels like a case of “one of these things is not like the others” compared to other Wi-Fi boosters on our list. By the way, the Almond is both a router and a Wi-Fi extender, but since you have to pair it with your campsite’s modem for it to act as a router, we’ve focused on singing its praises as an extender. 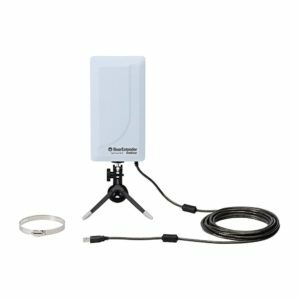 Set this bad boy up in your camper window or on your dinette counter, and it’ll scoop up that notoriously weak RV park Wi-Fi signal, beef it up, and boost it straight to your laptop, tablet, or phone. Bring on the Netflix. Let’s say you’re on the road, and you pull into a parking lot to check your email. But bad news: all the Wi-Fi networks are locked behind passwords. Sounds like a nightmare, right? 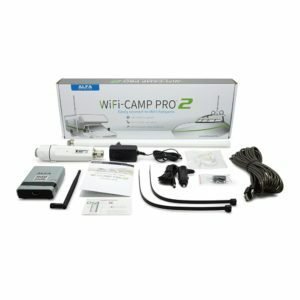 If you’re new to life on the road or in an RV, the Alfa Camp Pro 2 Kit can set you up pretty fast. It comes with almost everything you need to connect to Wi-Fi from the comfort of your fifth wheel, including a router/repeater combo, antenna, and receiver. 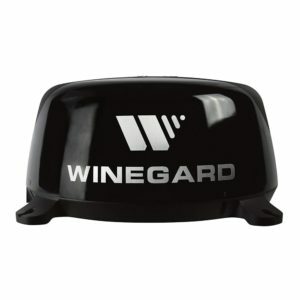 Unlike the Winegard, the Alfa’s antenna rises high above the roof of your RV. (Some folks even extend it farther by attaching it to an extension pole.) This is optimal since it makes it less likely for other RVs, trees, and buildings to get in the way of your wireless signal. Not in the market for a full kit? Get the stand-alone Alfa Wi-Fi network adapter. This suction cup–mounted booster and extender won’t run you more than $50. That’s well worth a better wireless signal at the RV park if you ask us. What sets the Halo Wi-Fi Extender System apart is compatibility with National Marine Electronics Association (NMEA) data—like your GPS location and weather data—and it works with satellite phones. That means it’s a (sea) breeze to send all that information to your smartphone or laptop. If you don’t want to mount the Halo to your boat or RV permanently, there are freestanding mounts you can purchase separately. Just make sure they match the connector and are one-inch long with 14 threads per inch (TPI). Want to browse for a Wi-Fi booster or extender on your own? Here are some things to look for while you shop. Since you’re hopping on the public Wi-Fi network at your campsite, security should be a big concern for you. 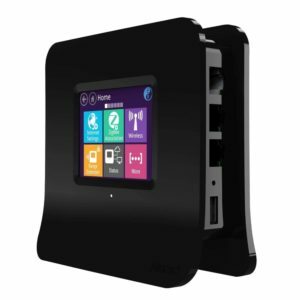 Make sure your range extender or booster has Wi-Fi protection capabilities. We recommend at least WPA security mode, but if you can go with WPA2, do it. Why is WPA2 more secure than WPA? In a nutshell, WPA2 is more secure than WPA because it uses a stronger encryption called AES, which secures your Wi-Fi connection. Also, WPA2 doesn’t allow the Temporal Key Integrity Protocol (TKIP) algorithm, which has certain limitations and gaps in its security. Chances are your Wi-Fi booster is hanging out on the roof or side of your travel trailer. The last thing you want is for it to rust over—or worse, stop working. Look for water-resistant and high-grade materials for weatherproofing. And if you decide to get handy with waterproof tape during setup, make sure using it doesn’t void your warranty first. Wi-Fi boosters and extenders for your RV can vary a lot in price. But sometimes a higher price comes with a few extras. Fork over more money and you’ll get a full router and extender kit with the Alfa Camp Pro 2. Or tag a couple extra hundred onto the price tag to get extremely rugged materials with the Halo Wi-Fi Extender System. One thing to note: a Wi-Fi booster or extender intended for your RV is likely more expensive than one you plug into a wall outlet at home. That’s because boosters and extenders made for campers tend to be more substantial and durable. Stick with Wi-Fi boosters and extenders made for RVs. We don’t recommend boosters or extenders that plug into your wall for your RV. Often these need to pair with your campsite modem and stay in close range of it. But as soon as you park in that spot at the far edge of the campground, you’re out of luck—and a Wi-Fi signal. Don’t rough it in your RV—get a Wi-Fi booster or extender. Next time you load up your camper and hit the road, bring a Wi-Fi booster or extender with you. Sure, the idea is to get away from it all, but that’s no reason to not update your daughter that you made it to the KOA in Hot Springs, Arkansas. And without a strong Wi-Fi signal, you might miss the new baby photos she sent. That’s a tragedy no one deserves. The best cheap Wi-Fi booster for your RV is the Bearifi BearExtender. It rings in at about $55 to $65, with the more expensive model offering dual-band Wi-Fi. If you’re looking for an extender, the Securifi Almond is on the lower end of the price range at about $90. And it doubles as a router too. What’s the difference between a Wi-Fi booster and a Wi-Fi extender? If you’re researching how to get good Wi-Fi in your RV, chances are you’ve stumbled across sites that use the terms “Wi-Fi booster” and “Wi-Fi extender” interchangeably. Long story short, these two are not one and the same. RV Wi-Fi boosters use a high-gain antenna to capture and strengthen a Wi-Fi signal. Sometimes you can even speed up your Wi-Fi connection with a booster. Wi-Fi extenders, on the other hand, help send that Wi-Fi signal across even larger distances—but they don’t increase the speed. Instead, they act as a bridge between the Wi-Fi signal’s origination point and your computer.